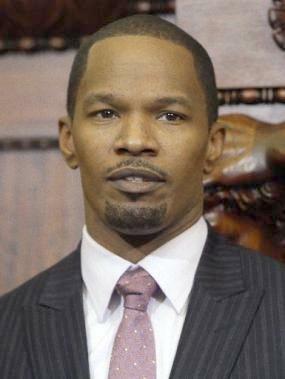 *Like many Black men in America, Jamie Foxx is feeling the sting of racial profiling. He’s had a taste of it in Los Angeles when cops pulled him over in the affluent Westlake area. He feels the incident was spurred from racial profiling. driving while blackhollywoodjamie foxxlapdlos angeleslos angeles police departmentracial profilingT.I. well join the club foolio. its par for the course. u black, get use to it, or move out of west lake. move to east lake, otherwise, shut up your whining. p.s., and retie that pathetic knot. Cosign. Jamie is just now complaining about racial profiling it has been going on for a looooong time now or hasn’t he noticed?? ?